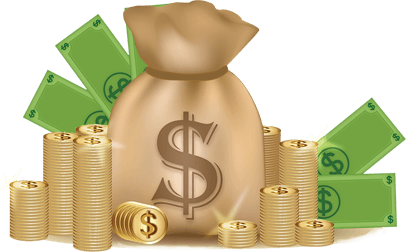 Want to create a city directory website that earns for you? 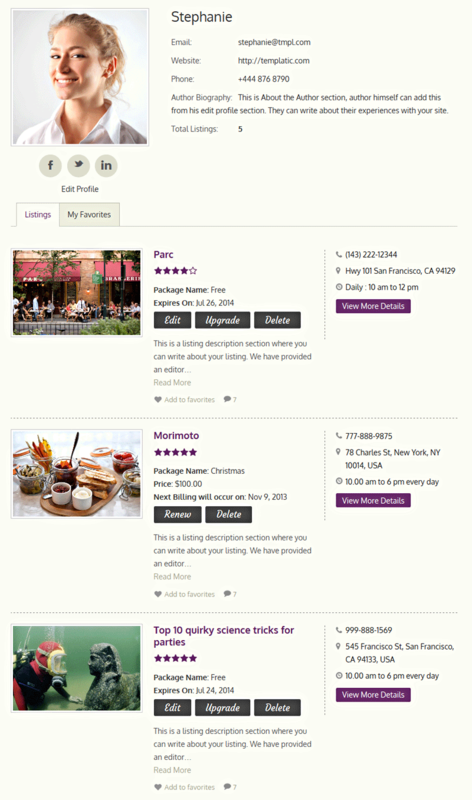 Here’s the amazing city directory WordPress theme based on our most popular Directory portal. 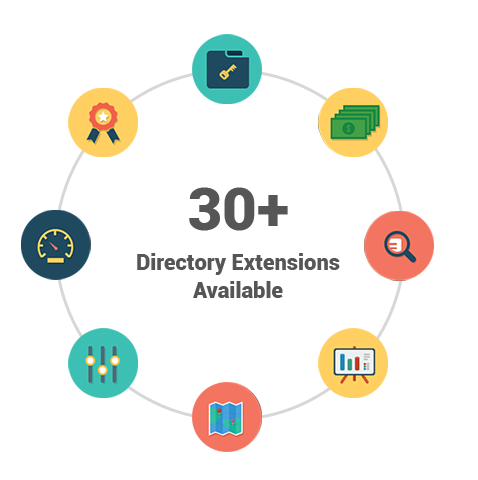 This city portal theme enables you to create full functional, flexible and user-freindly commercial city directories, in just minutes. However, the best thing about this theme is that it lets you create a money making website, all by yourself. Therefore, no more spending on hiring programmers as well as designers, and waiting for days till they to create your website for you. 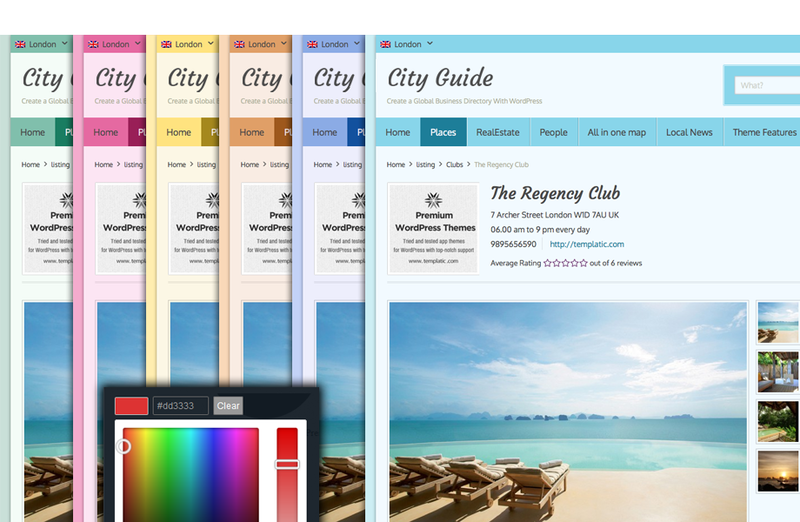 City Guide is a child theme designed for one of the best CMS themes out there, Directory. 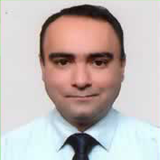 The Standard or Developer license includes the parent Directory theme. 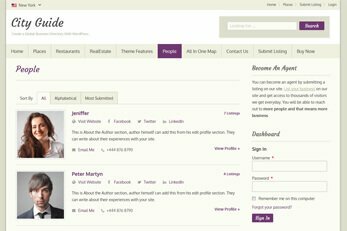 By installing this child theme you will completely change the design of your Directory-powered site. 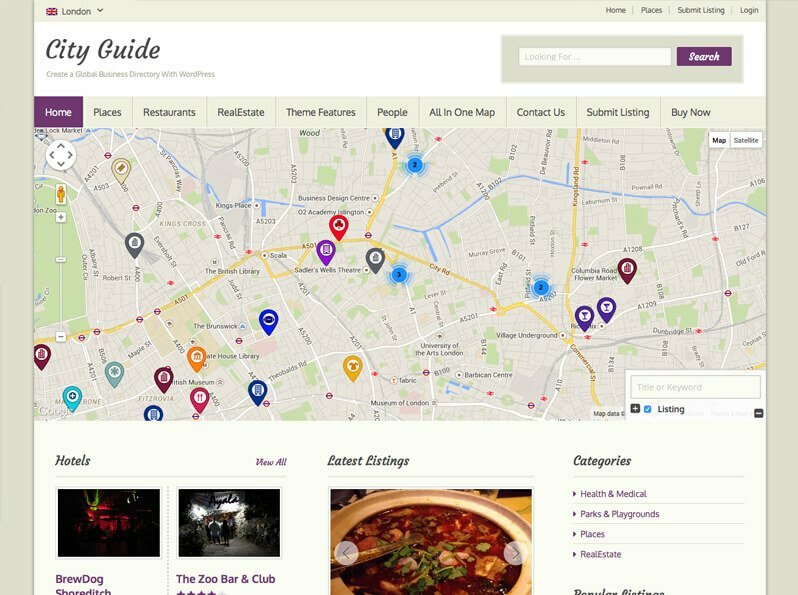 City guide theme lets you create a location based city directory with maps. 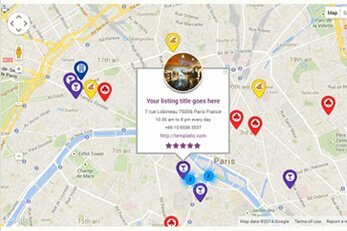 Every listing added to your website, is represented graphically using on the map. You can set different map markers for different categories. The markers will show the accurate location of a listing on the map, according to the provided address. These markers are directly linked to the listing detail page. 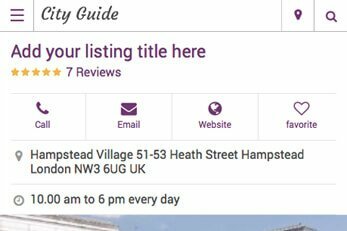 So your visitors can directly click on the map markers and get the details of that listing. This theme is responsive and it’s designed to look good on any device. As well as this, you also have the option to activate the theme’s mobile app view. This cool view provides a minimal and even quicker-loading times on mobiles. The theme’s mobile app view can easily be switched on or off from your admin dashboard’s theme settings. 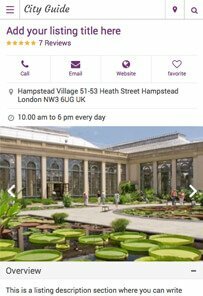 You can click here to try the mobile app view from your mobile if you like. Launching a website with nobody being able to find it is the last thing you want. 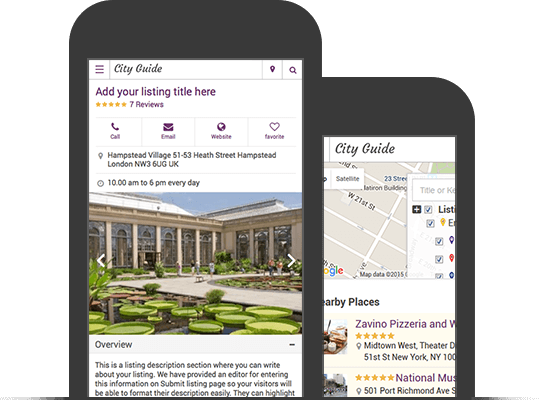 The City Guide directory theme is coded with some of the best SEO practices to ensure your site can easily be found on Google and other search engines. This theme also supports some of the best free SEO plugins such as Yoast SEO, All in One SEO, Google XML Sitemaps and All In One Schema.org Rich Snippets. 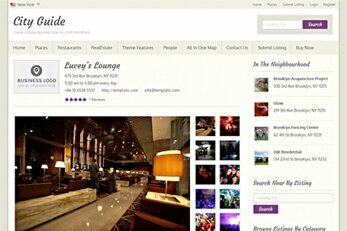 With good content, your city directory website should be easily found online. Use this powerful plugin to easily manage the content of your Directory site with its intuitive front-end WordPress editor. 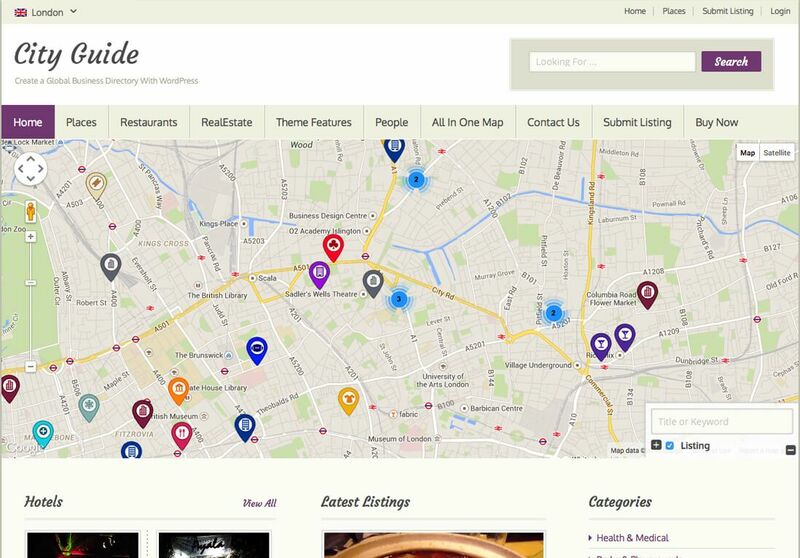 You can create stunning looking city directory without changing a single line of theme code. Use the built-in skin builder to change the design and the styling of your website. This great page-builder lets you create complex layouts of your pages and posts with a very simple and easy to use drag-n-drop interface. 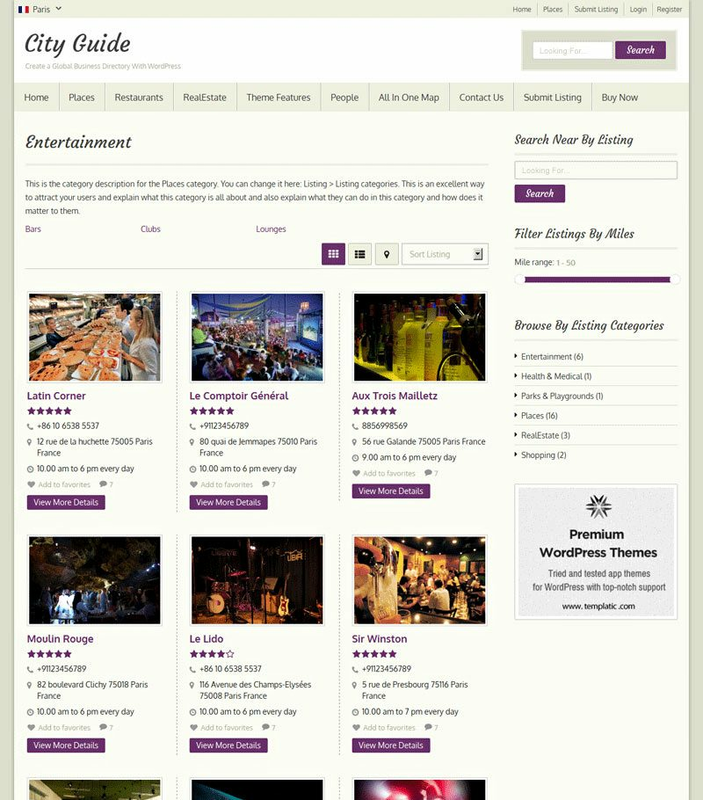 This is a theme built for ensuring you can make money from your directory website. Please take a look at just some of the monetization features which come with this theme. Display banner ads and AdsSense too. 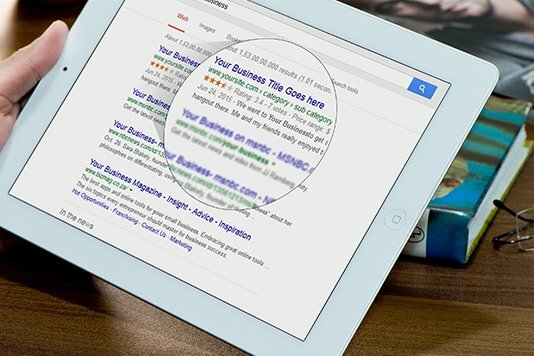 Charge for featuring business listings. 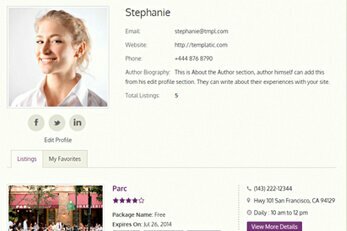 Charge for individual listing categories. 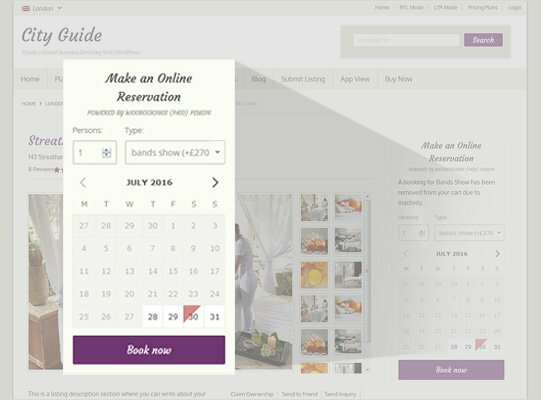 Create unlimited custom fields with search options. 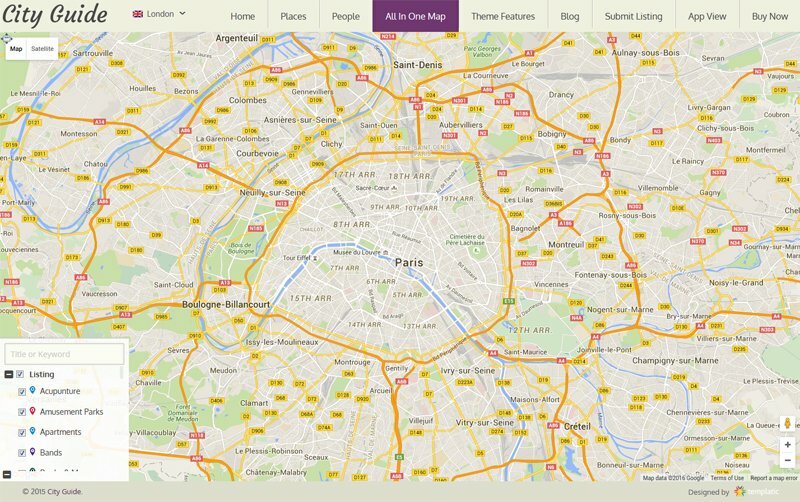 Run the City Guide theme in multiple languages! 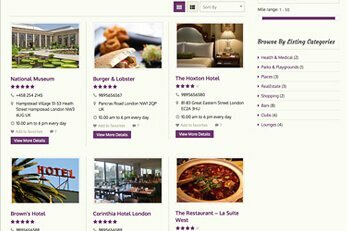 City Guide has been tested with popular WPML plugin if it’s a multilingual site you’re looking to build. Using the WPML plugin on your site lets you run your website in multiple languages. This theme is compatible with some of the most popular WordPress plugins around. 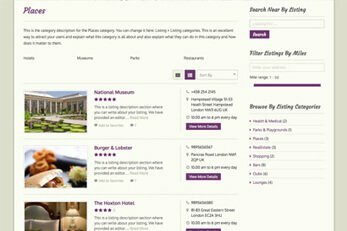 Here are just Some of the features which make Directory Theme platform the most powerful among all. Instant search is provided with this theme. You can also offer advanced search. Various email notifications are sent at different site/user events. Editable message templates. Theme colors can be easily customised from admin panel to match your color scheme. We have put together a huge selection of resources for our Directory platform. This includes free add-ons, a list of compatible third party plugins, theme and plugin guides, 75+ tutorials and much more. 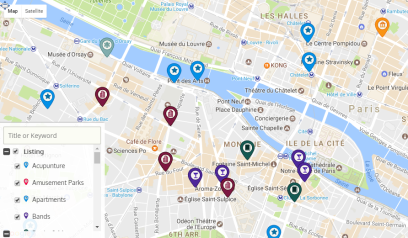 You can choose from the 30+ optional advanced paid Directory pluginst extend functionality of your CityGuide site to make it even more powerful. We have you covered with integrations to the industry’s best booking services. 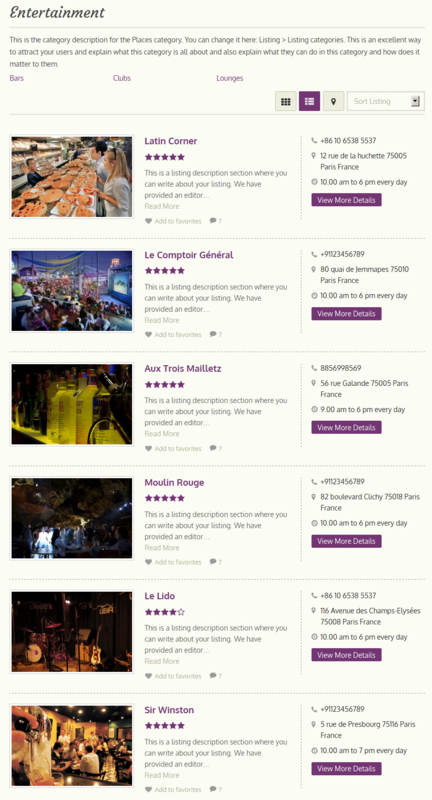 By Installing WooCommerce Booking plugin it turns your portal to a fully fledged booking system. 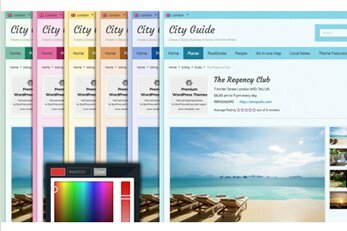 The PayPal payment gateway is included with the City Guide theme. That’s not all, you also have the choice of 15+ compatible paid payment gateway add-ons. 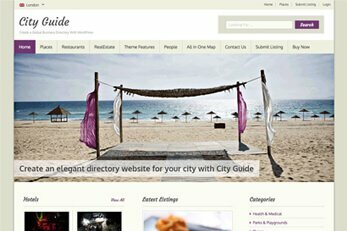 Get one of the best city guide WordPress themes available today for online directories. This powerful system is ideal for city or travel guides. 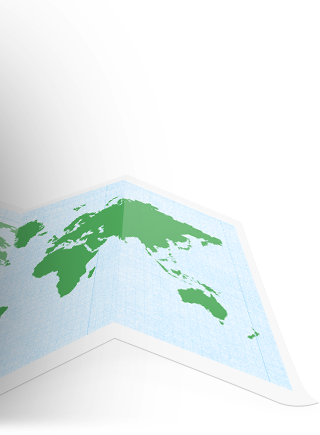 Multi-city and geolocation features ensure users can locate what they're looking for with ease.